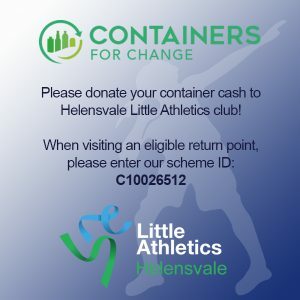 Helensvale Little Athletics is registered with the State Governments Get Started Funding program. PLEASE NOTE: Vouchers must be presented when you sign on. If signing on online please bring the voucher to a sign on day or a competition night to receive your registration pack.